Non-invasive approaches to rejuvenating skin are growing in popularity, and Limelight Facial is one the newest and most promising treatments on the field. With this innovative treatment you can experience improvement in skin tone and diminishing of imperfections caused by photodamage and aging. That while most people will tell you that wrinkles are the primary thing that makes your skin appear older, that damage from the sun is often a greater culprit? Elimination of the mottling, redness, and spottiness caused by your bodies reaction to overexposure can take years off your appearance! 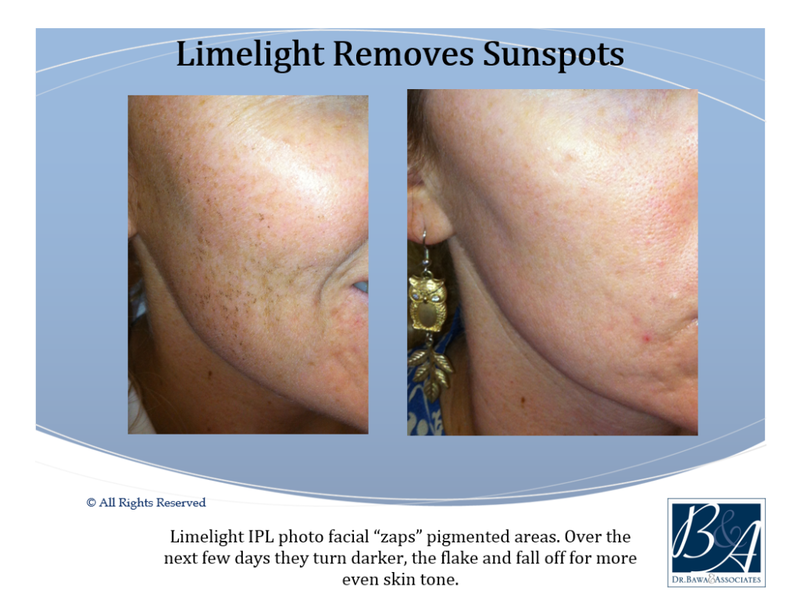 Where Can Limelight Facial Be Used? 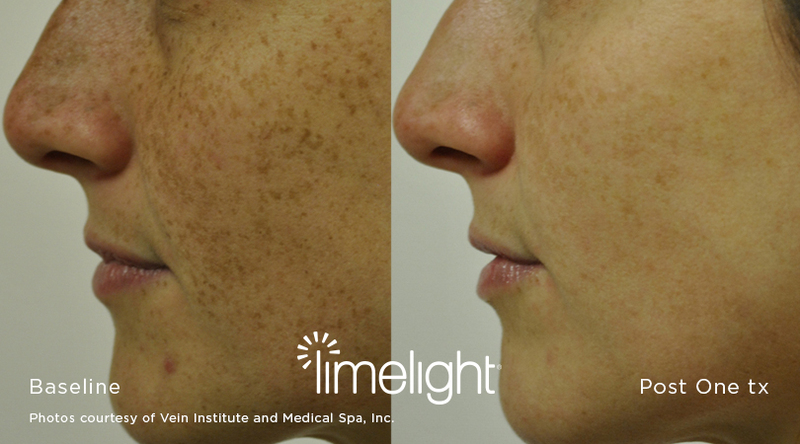 Limelight Facial was specifically created to help improve the appearance of telangiectasia (tiny veins in the skin), skin redness, and brown spots, even the lighter brown spots which prior to Limelight Facials were difficult to treat. Selection of one of the three programs available allows your practitioner to personalize your facial to your skin type and target those problem areas that concern you. Each of these programs gently heat the red and brown pigments in your skin in subtle ways to produce the end result. What Does Limelight Facial Feel Like? The treatment process begins with the application of a gel to help cool the skin, followed by the application of the Limelight Facial process. A pulsing light is used on the skin, with many patients experiencing a slight stinging sensation or mild stinging. 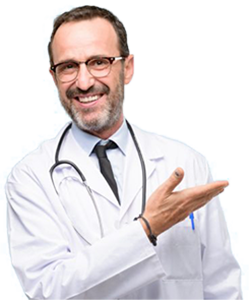 Typically the discomfort is mild enough that no form of anesthesia is required. Do The Treatments Take Long? The length of the treatment is intrinsically tied to the size of the area being treated. In most cases you’ll be in and out of the office in an hour. Results occur very quickly, often within one to three applications. If your skin is excessively sun-damaged then additional treatments may be called for. Will I See A Return Of The Redness And Spots Over Time? Additional sun damage can certainly lead to more sun spots and redness, but these too will be treatable. To help hold off sun-damage remember to always wear sunscreen outdoors to protect from the suns harmful rays. 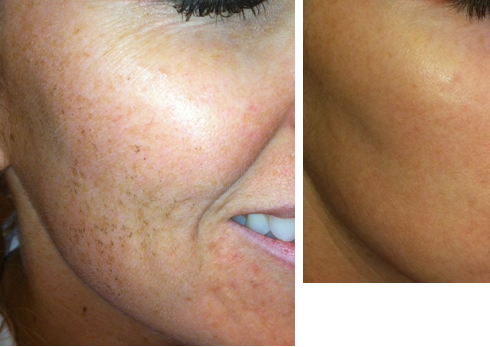 In the case of Rosacea there is no cure, but using light treatments like this can improve its appearance.